"The clouds were trying to veil the sunset but their capability was just limited to conceal the glorious beauty of the orange sky." Enjoying some chilly zephyr and the orange heaven, it looks like a painting colored on a huge canvass called the sky. It was undoubtedly a magnificent view that truly awakens the senses... the soul. I thought it was a bad idea going to this place at a time where we can chase the dark. It was already 6 pm on my wrist watch. Thinking it was a bad idea, it turned out to be a surprise. The sunset, it didn't pop out in my mind that the time was just perfect to enjoy the sunset -- not over the beach, but over the mountain called Mt. 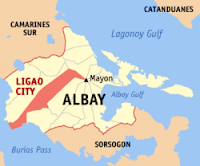 Masaraga under the jurisdiction of the city of Ligao. 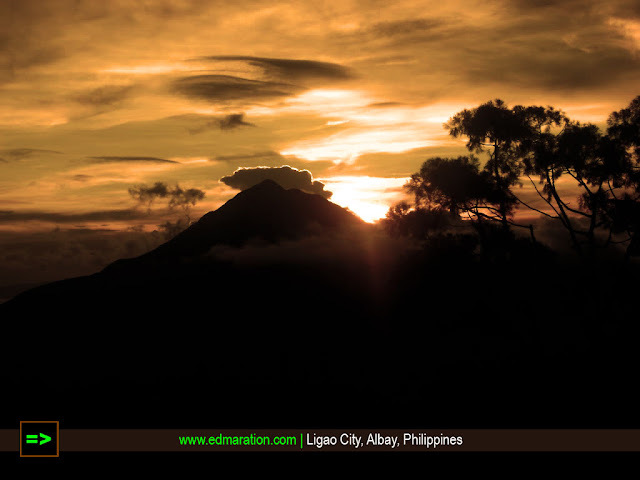 Yes I know, it was not easy to travel on a zigzag road at night where street lights are not present because just after chasing this sunset over Mt. Masaraga, we have to face the night. I think chasing the sunset over certain mountains is an idea as good as chasing sunset over certain beaches and being able to capture the sunset over Mt. Masaraga was a golden opportunity. The clouds were trying to veil the sunset but their capability was just limited to conceal the glorious beauty of the orange sky. 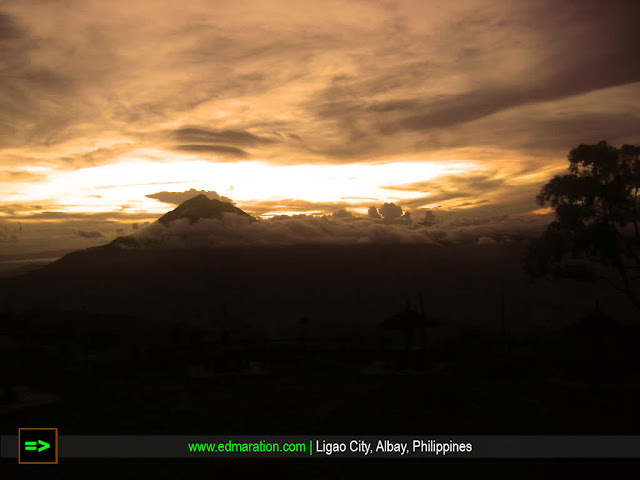 Instead, the clouds just blended with the sunset with beauty and magic! I will never forget this moment and it was more than memorable. Mt. 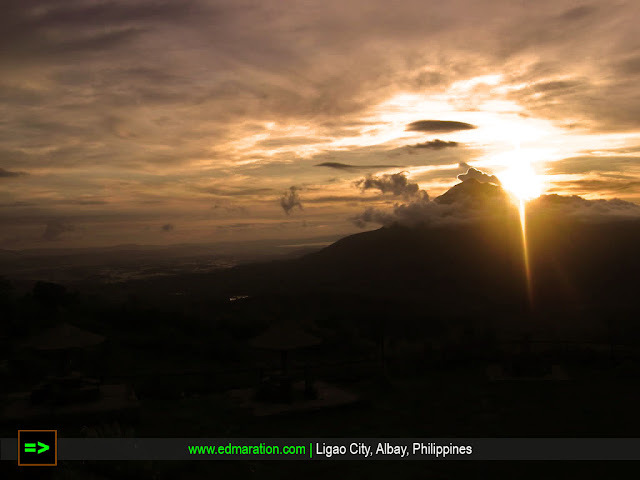 Masaraga is one of the 3 peaks of Albay and I'm glad I have captured this 3 mountains in sunset. 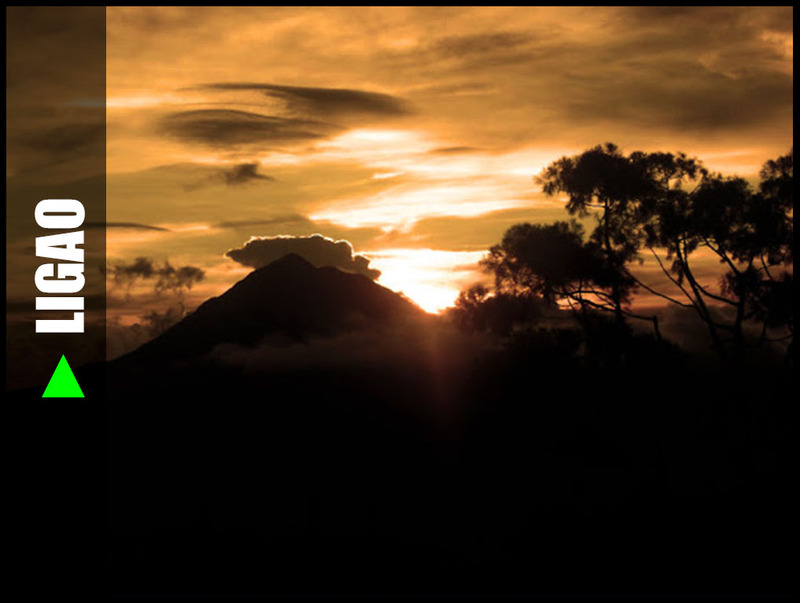 Watch out for the next mountain sunset!